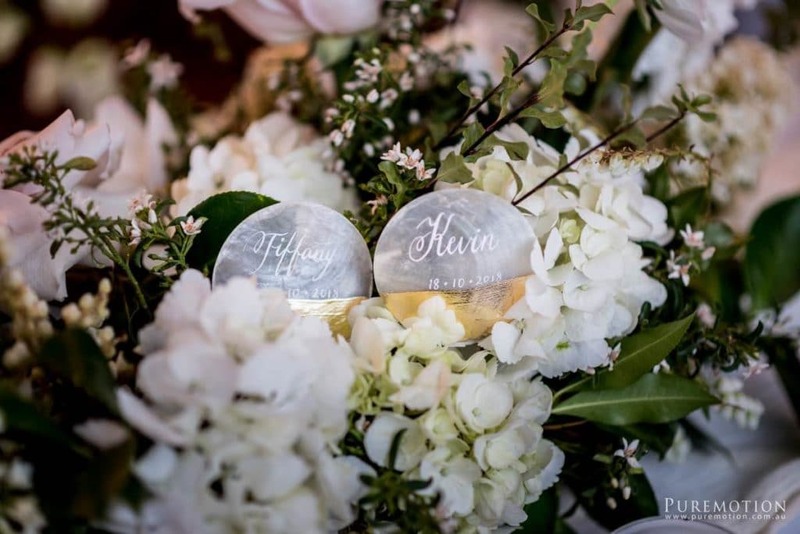 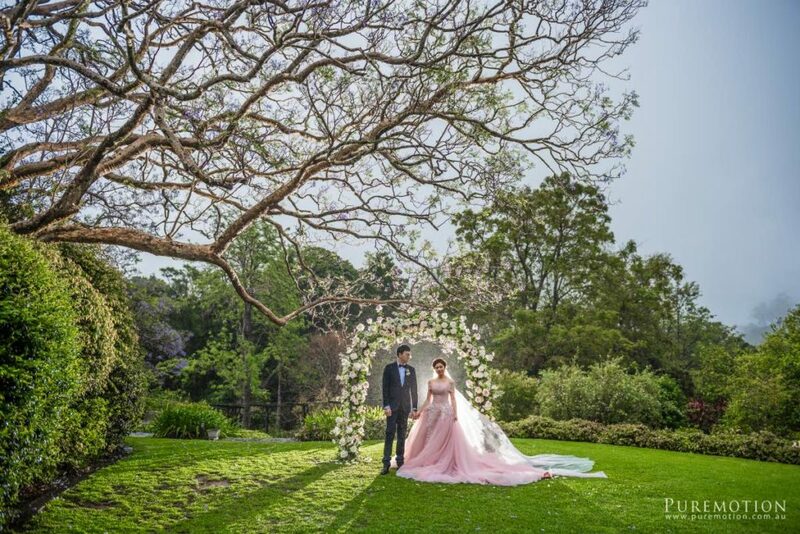 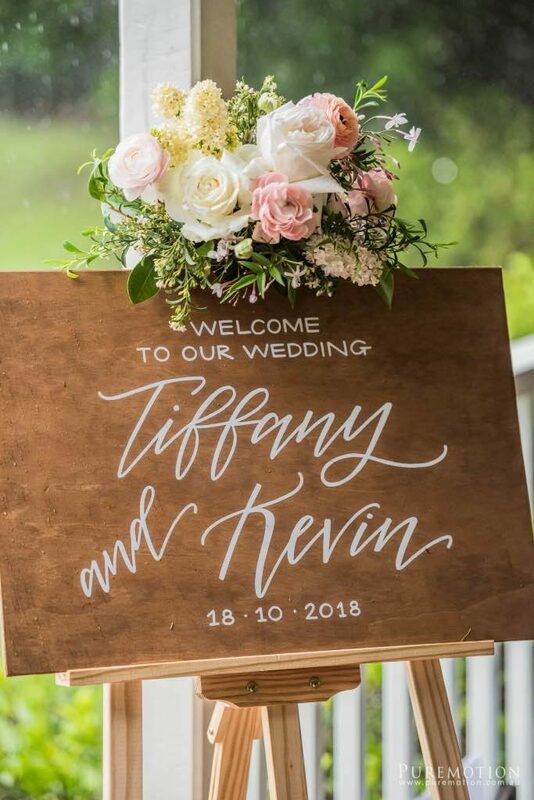 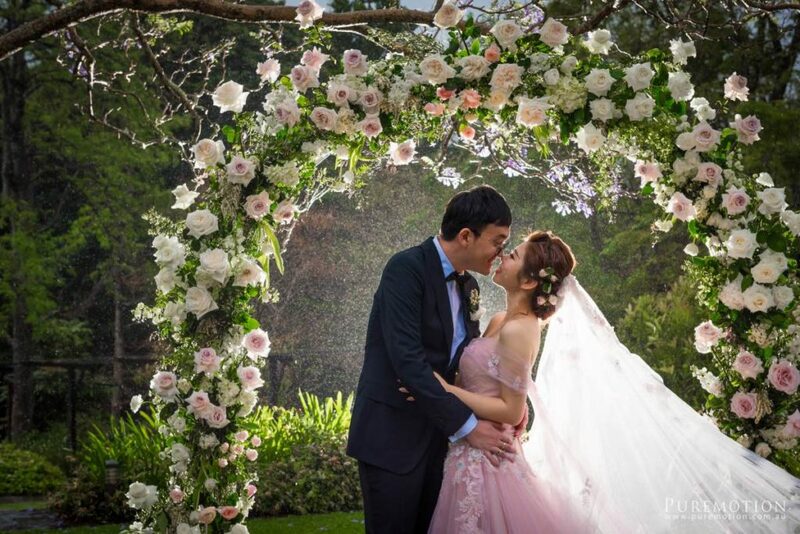 Tiffany and Kevin’s wedding at Spicer’s Clovelly Estate (nestled in the Sunshine Coast Hinterland’s village of Montville) was so elegant, romantic, dreamy and oh so pretty! 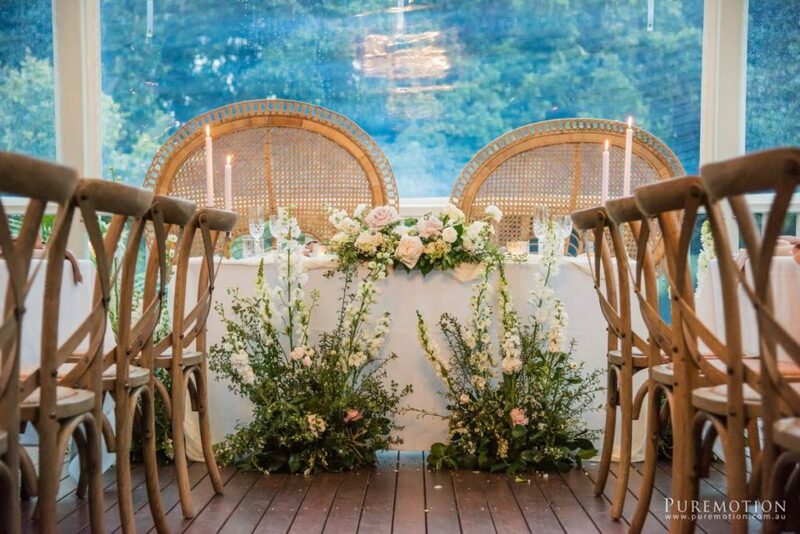 An intimate wedding for 30, this wedding was really like a modern day fairy tale. 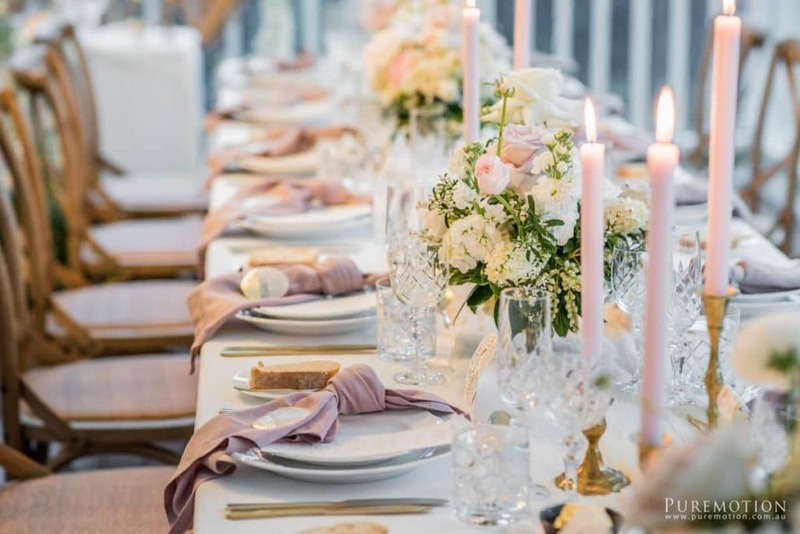 The softest hues of ivory, cream and blush was the hero of the florals and styling with minimal foliage and maximum quality spring blooms. 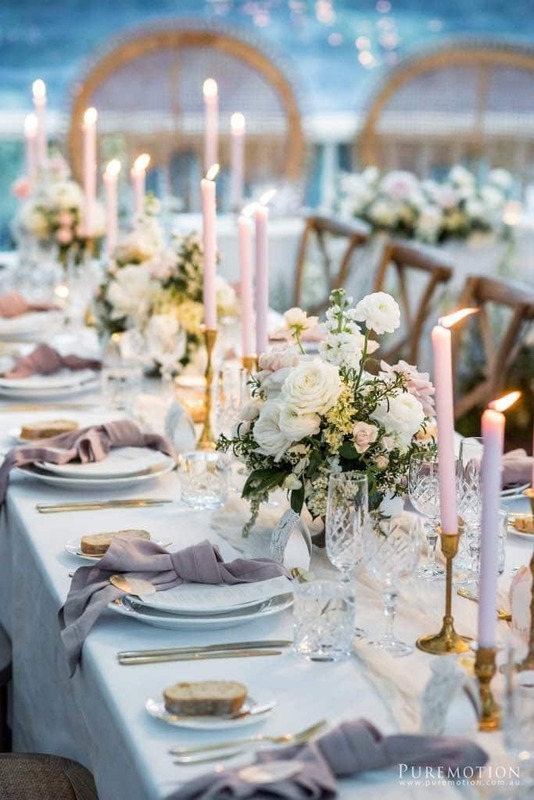 An intimate wedding for 30, this wedding was really like a modern day fairy tale. 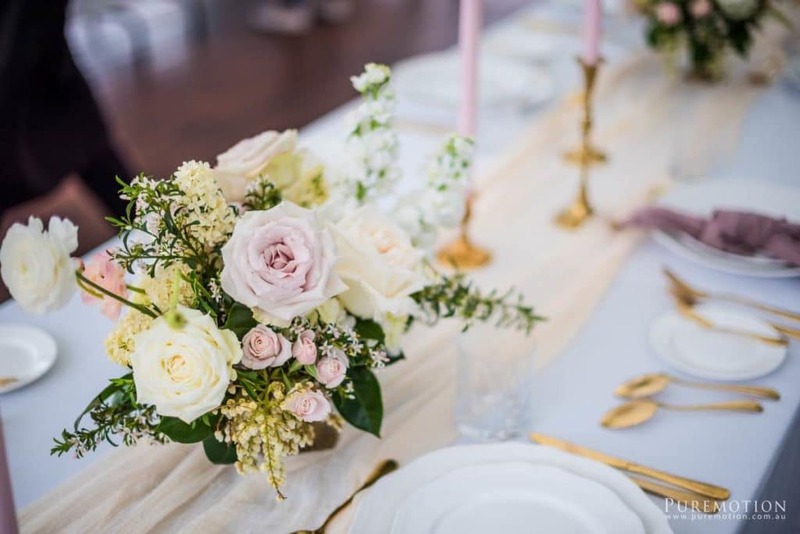 The softest hues of ivory, cream and blush was the hero of the florals and styling with minimal foliage and maximum quality spring blooms. 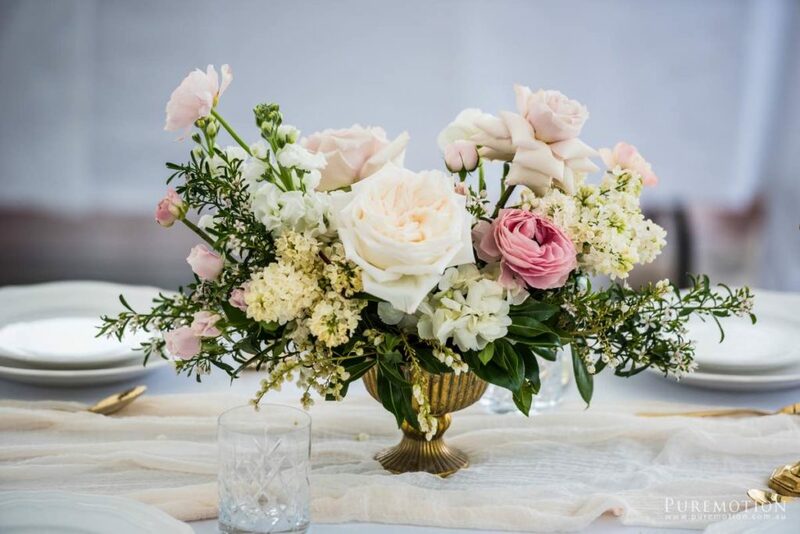 We used an abundance of Quicksand and O’Hara roses imported from Equador, as well as lilac, andromeda, ranunculus, stock and hydrangea from Melbourne and Tasmania. 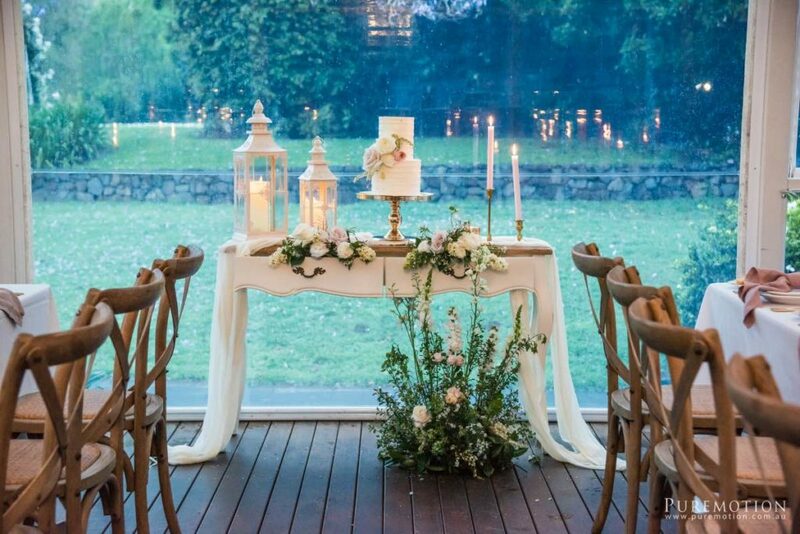 Jasmine vine, olive foliage and camelia were all sourced from the local Sunshine Coast Hinterland area. 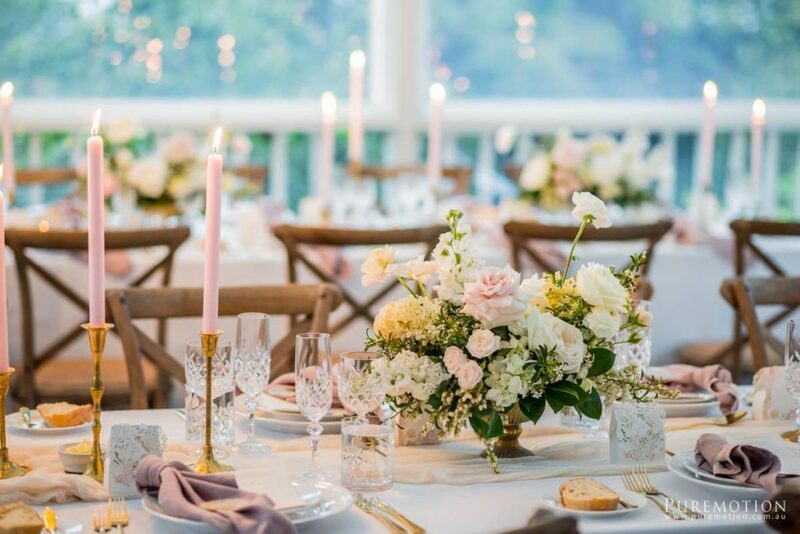 The fragrance in the room was incredible and really added to the ambience of the day. 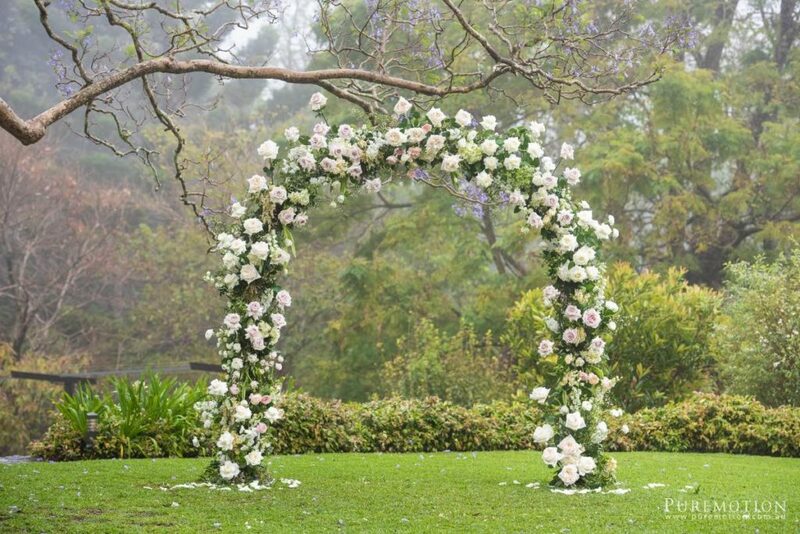 The wedding ceremony arbour was a really beautiful statement piece where all of the family and friends took selfies and the bride and groom got the most amazing nighttime photos in the rain. 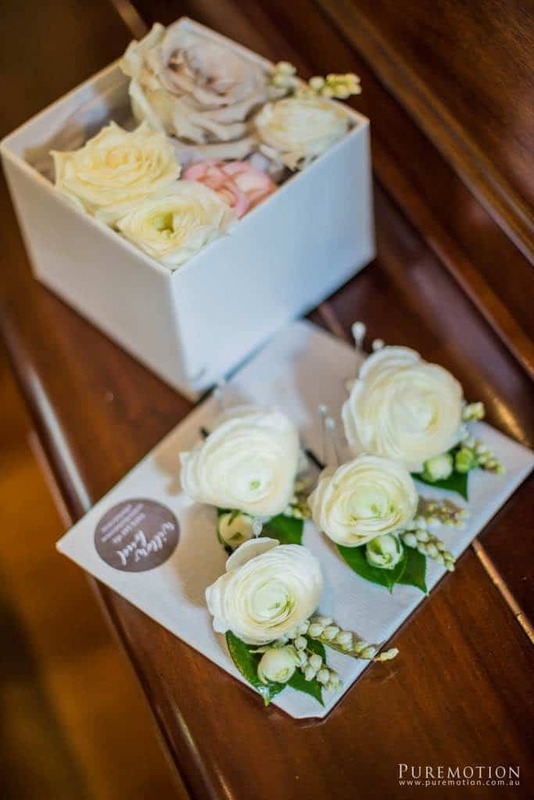 We really love to push the limits with our floral designs in wedding flowers, we really do love to achieve a delicate yet timeless look and style to our designs. 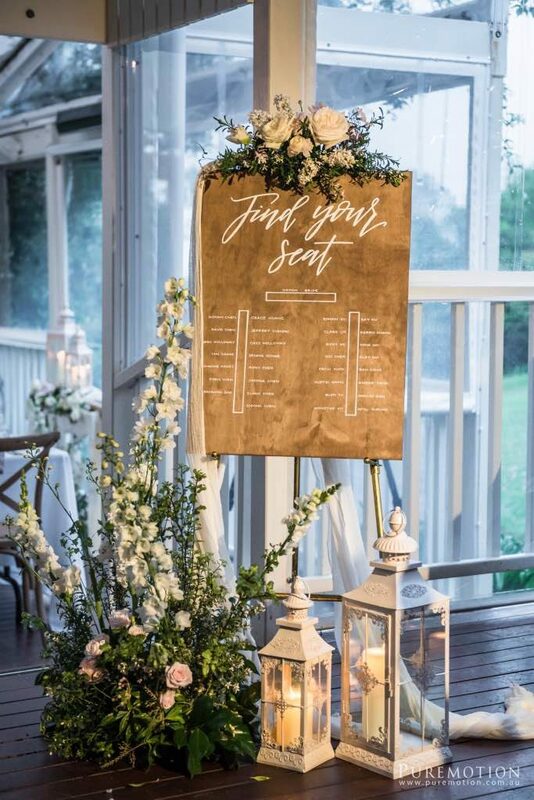 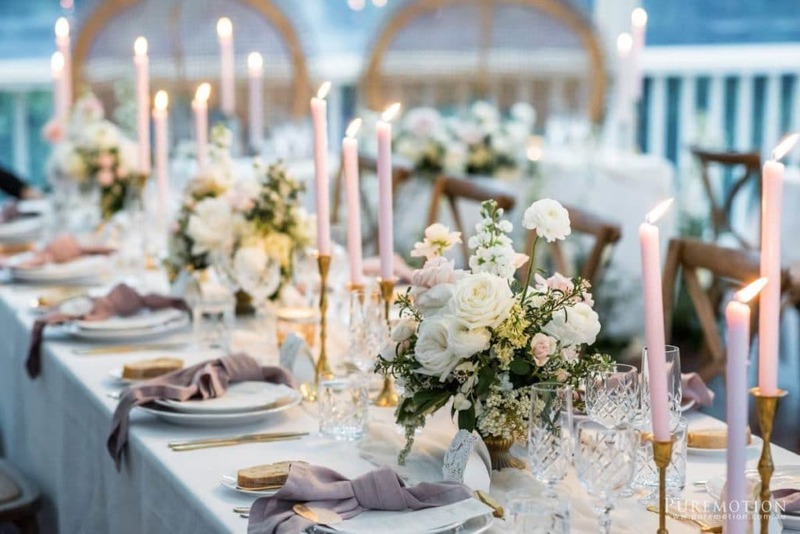 We worked alongside AJ Wedding and Party Events, Jo did an amazing job sourcing all of the styling elements from all over southeast Queensland. 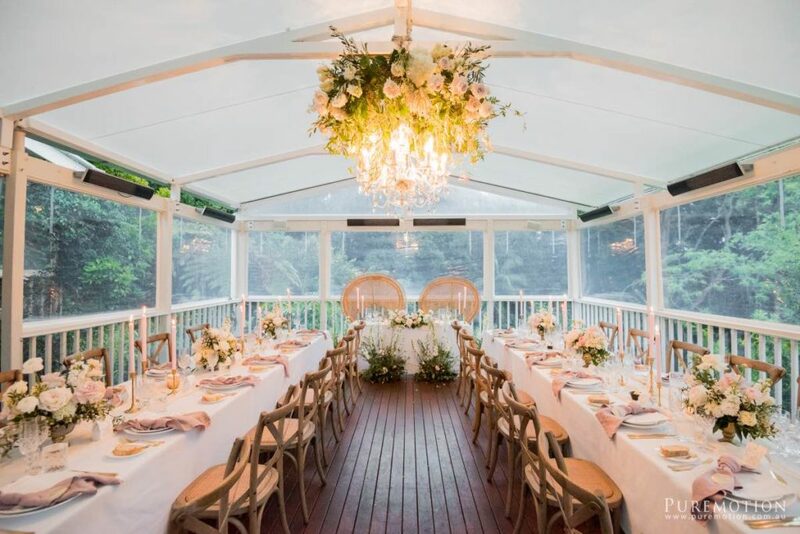 The chandelier was from Lovebird Weddings and the furniture was from Simply Style co, both local Sunshine Coast Styling businesses. 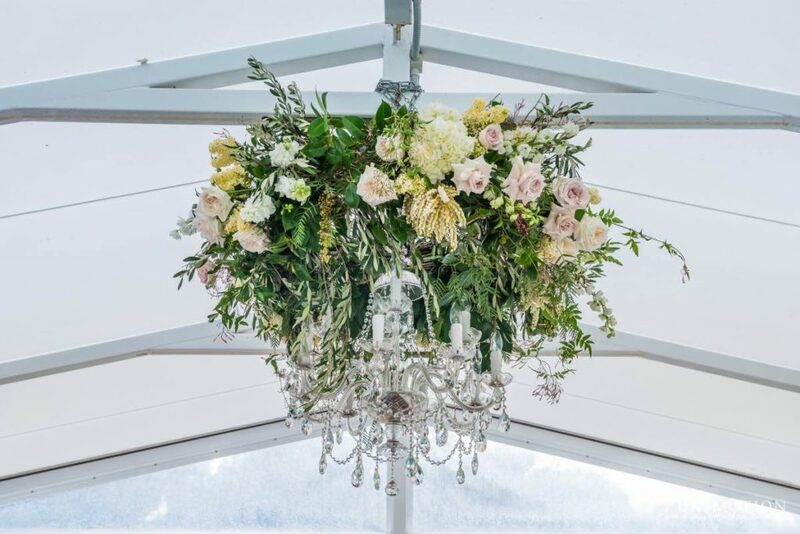 We loved the hanging floral installation that we created around the chandelier and also loved the brass chalice bowl arrangements that dotted down the table.